There’s quite a lot going on (or about to go on) in Megadethland. 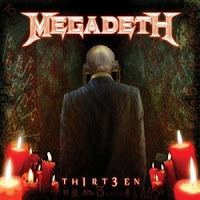 Of course, there’s the latest studio release of “Thirteen,” one of the finest metal albums in years, and then the December 10th jam of Dave Mustaine and Metallica, back on stage together again, playing old songs, for one of the 30th Anniversary Metallica shows at the Fillmore in San Francisco, California — a remarkable event that brought everyone from Jason Newsted, to Lloyd Grant and Ron McGovney out to celebrate. And soon will be the launch of Gigantour on January 26 in Camden, NJ — the mega-Megadeth tour with Motorhead, Volbeat and Lacuna Coil (all bands hand-picked by Dave Mustaine, of course). 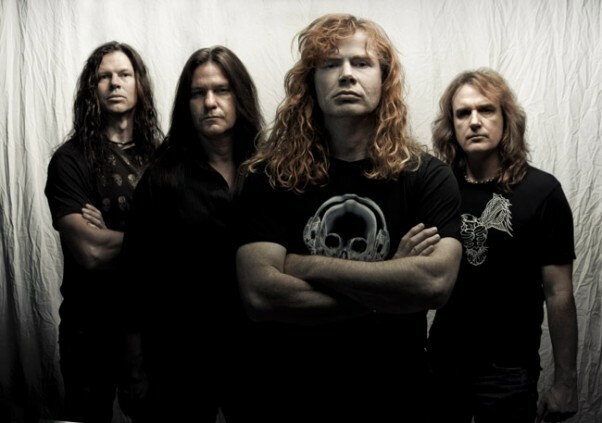 The following is an interview with Dave Mustaine on December 13, 2011. This new album sounds fresh and exciting. Do you think the reappearance of David Ellefson had something to do with that? Dave Mustaine: Oh, he had everything to do with it. I sucked without him. Well, I didn’t mean it that way, man (laughs). Mustaine: (laughs) I know, I’m just playing with you. Yeah, Dave added an element of excitement and fun to the band. Every player who plays an instrument is gonna have their own way that they handle the neck and the strings and stuff like that. We could have had the last guy [James LoMenzo] who was playing before Dave do this record and play exactly what Dave played but it still wouldn’t have sounded the same. Dave was in the studio while we were getting ready for the Rust In Peace tour and I said ‘Hey, you want to try and record on (the song) “Sudden Death”?’ And he did and we just knew it was gonna work out. So, yeah, I think he added a really great element but I think there are a couple other guys in the band [Chris Broderick on guitar and Shawn Drover on drums] that aren’t so bad either. In all sincerity, I think Thirteen is one of the best metal albums in years. I’m a traditional metal guy and the thing about it is that it sounded a lot more like traditional metal … songs like “We the People” and “Deadly Nightshade” … Was it intentional to bring back some of that classic sound? Mustaine: There was no intention of anything on this record. Honestly, we just went into it with the desire to make our last record for Roadrunner and to make a really great offering and who knows where this record goes because I hadn’t had my surgery yet [neck surgery] and I pretty much thought as soon as this record was turned in I was gonna crawl off into a retirement home somewhere because my neck and back were becoming such a problem. But the record turned out pretty well and the label’s done really good with it and I got the surgery and, man, everything is just going great right now. Mustaine: “New World Order” was really, really old. We had never really officially recorded that and some people had said stuff about Nick [Menza, drummer 1989-1198, 2004] and, you know, yeah, he wasn’t a really busy writer but he did write a couple good things and “New World Order,” he had a hand in writing some of it, so it’s kind of cool. I don’t know what he’s doing right now but I do know that when he wrote that, it was very modern sounding. So when I came to do that song on this record, because we hadn’t done it officially, it was a no-brainer. And it still seems to fit seamlessly on this new record, it’s hard to tell it was written way beforehand. Looking at the lyrics on Thirteen, you lay out your political and spiritual views and it doesn’t come off as preachy, at least not to me. Do you agree? Mustaine: I’ve become more active in politics and more concerned in my fellow man because of my own discoveries and decision-making. I know if someone would have told me ‘You couldn’t do that,’ I would have said ‘Watch me.’ Because it’s just part of my nature. Not that I’m defiant just for the sake of being defiant because that would become kind of predictable, and there’s nothing cool about being predictable. It all just kind of goes back to what you want to do with your life. And you still feel strongly that we’re headed towards a global government? Mustaine: Yeah, I do. You hear China say that they are preparing to go to war with the U.S. — they said that on Fox yesterday — that’s not small potatoes, bro. Don’t you think that the government sometimes seems like a puppet for banks and corporations? You do say it best in the song “We The People”: “The devil’s henchmen in suit and tie.” That sums it up a bit. Mustaine: Yeah, yeah, I think so. This whole nonsense … if you watch what’s going down with the super committee [on deficit reduction]. I called that before it even started — that it’s a joke and it’s not gonna work. And it didn’t work. Do you agree with the Occupy Wall Street movement? Mustaine: I think that the intent was very misguided. I believe that people going out into the streets to demand change — they went to the wrong address. They needed to go to 1600 Pennsylvania Avenue. You don’t go out and tell a bunch of guys who are working on Wall Street that you want change. You go to the President. Mustaine: Well, Congress is pretty much completely gridlocked right now. And the President is insulting them every chance he gets. So, I think the Occupy Wall Street people, if they really really want to see this happen, they need to go (to 1600 Pennsylvania Avenue), instead of going to the ports and shutting down commerce ,which is hurting people like the truck drivers and longshoremen and all the people on the boats. It’s just ultimately hurting us because that’s just gonna raise the price of food and stuff. And there’s that old saying: He who controls the water and controls the food, controls the people. Well, these guys are handing our control over to the elite by taking the food off of the shelves. If you’re gonna have anything to do with these guys, somebody smart has to tell them what to do. Recently in an interview you called yourself a survivalist — and the song “13″ expresses that — but if this were a reality show like Survivor you’d probably be the finalist. And it looks like you’ve had a guardian angel over the years. Mustaine: That I have. I still have it. And good luck comes into play, too. And maybe 13 isn’t such an unlucky number after all. Mustaine: Well, it wasn’t on the day I was born. The number 13 was bad for the Templar Knights — the knights who helped Solomon’s temple — those dudes were all rounded up on Friday the 13th and burned at the stake or something like that. I think people don’t know about that and they kind of just connotate the number 13 with marijuana and that it’s bad, you know. I was born on the 13th, I started playing guitar when I was 13 and this record’s my 13th record. As far as spirituality in the lyrics, as a born again Christian, the less challenging creative road would have been to write songs like Stryper. But you do a pretty good job at being provocative. It must have been a great feeling going up there onstage again with them. Mustaine: I had some mood swings. There was some ups and downs and stuff. And, you know, got excited, and kind of got impatient, ‘Let’s go. I’m okay. Well, lets go!’ and this kind of thing and that’s just the artist in me. I’m just squirrely like that. Playing some of those old Metallica songs — did you have favorites or are there still favorites now? Mustaine: I think there’s a reason for that. I think I know why we didn’t play that song but I’m not going to go out on a limb on it. I think one of the things was because we recorded “Mechanix” and they recorded the other way, there’s not really a need to do that. There were several other songs that were really important — like “Jump in the Fire” was the first song I brought those guys. And “Phantom Lord” and “Metal Militia” were songs that I brought to them, too, and the only other song was “Mechanix” which later changed to “Four Horsemen.” And the rest of those songs were written by James (Hetfield) or by Hugh Tanner or Lloyd Grant and that’s why those guys were there .. and a little weird for me, too, you know, standing onstage. I thought it was cool to be just with Metallica but Ron McGovney’s up there and Lloyd Grant’s up there. I was kind of like ‘Alright, well, I’ll bite the bullet. I’ll be cool. This is not so terrible.’ I got up there and, you know what, I didn’t even notice them. I was having so much fun they weren’t even there. Well, you mentioned mood swings. You should have had flashbacks with McGovney …. Mustaine: Actually, you know what. I didn’t even see him the whole time I was up there. It was cool that he was there. He was pretty nervous, too. Ron’s a good guy. I was locked into Lars’ playing and James’ playing. Me and James, we were like the the Toxic Twins back when we played together and we were a very very dangerous duo. And for a moment I think I stirred some of those old feelings up. I saw one of the videos and it looked like he was having fun. I know I was having fun. I had a smile that I went to bed with. Do you remember the very first Metallica gig? I think it was in Anaheim, 1982. Mustaine: You know, I remember a lot of those shows but not which one was the first one. One of them, when we played there .. this is funny, I was just saying this to somebody the other day, and I don’t even know if James will remember this. He used to go partying with me and we used to go out drinking all the time and we found out that when we were up there, there was a contest, a battle of the bands and the winner got to open up for this new band from Ireland — a band that had just come on MTV and had this song “I Will Follow.” I told James: ‘These guys are gonna be huge, dude. You watch.’ It was U2, when they came over and if we had entered the battle of the bands we probably would have gotten to open up for them which would have been pretty interesting. You know, there’s been a lot of firsts for Metallica but I don’t think that they’ve opened up for U2 yet. Lastly, Gigantour. Are you glad you picked bands like Lacuna Coil for Gigantour? Mustaine: Yeah, I ‘m glad I picked Motorhead and Volbeat, too. I think that all the bands that are on Gigantour this year are gonna be great. They all have a certain type of cool factor. Motorhead has that straight-forward, ‘I’m gonna kill you’ kind of music, and Volbeat is that kind of dangerous kind of music — kind of like Elvis metal — and listening to Lacuna Coil with the two singers, it’s very dynamic and they’ve got good guitar players in there. It’s also cool that at one point we had Christina (Scabbia) sing a song with us. We haven’t discussed having her come up and sing “À Tout le Monde” with us each night. We probably should but we haven’t talked about that yet. About Powerline: Founded in 1985, Powerline began as an underground hard rock/heavy metal mag, distributed mostly in record stores worldwide. As it evolved a few years later, it embraced more commercial hard rock (the popular genre at the time was classified as “hair bands”) and the mag was distributed as a high-gloss publication on American newsstands with a circulation of over 100K. By 1992 the party was over. The magazine became defunct (for various reasons). The staff went onto other jobs. And the name gathered dust. Until now. Resurrected online, Powerline covers hard rock/heavy metal music in general (truly From Glam to Slam! 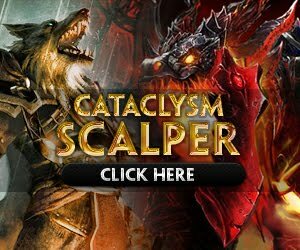 ), as well as reminisce about the old days in the form of time-capsuled articles and experiences.